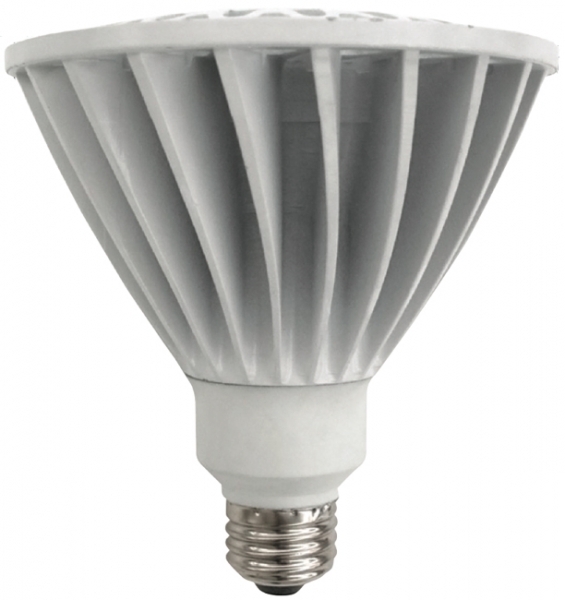 TCP's LED PAR38 provides energy efficient illumination using only 17 watts of electricity while producing 1050 lumens of light, equivalent to a 90 watt incandescent bulb. The 50,000 hour rated life makes it an ideal choice for hard to reach applications. 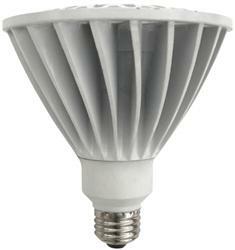 Contains no mercury, emits virtually no UV/IR light, will not fade colors and provides even, diffused light. Offers smooth, uniform dimming down to 5% of full brightness. Features a 25° beam angle. Dimmable.